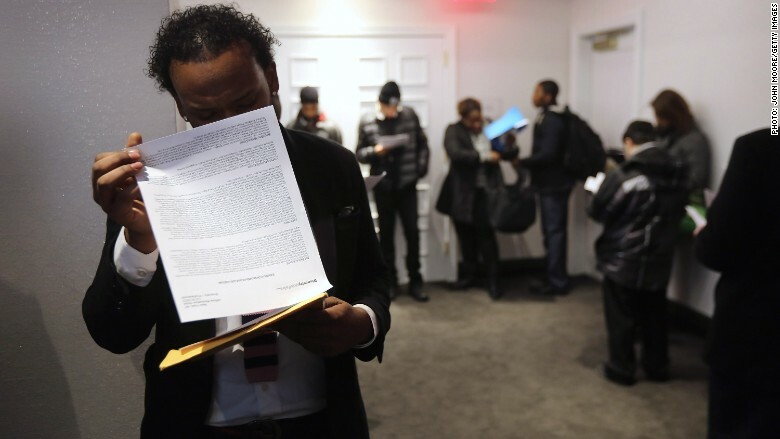 Job seekers with "foreign sounding" names often suffer from discrimination. Ever felt you missed out on a job because of your name? That could be about to change for graduates seeking a career in finance. Top firms such as HSBC and Deloitte said Monday they'll start recruiting graduates in the U.K. without asking for their name. They are among a group of British companies and public sector employers that want to tackle racial discrimination by selecting candidates without knowing who they are. Job seekers with foreign-sounding names have to send out twice as many resumes as candidates with "native" names before landing an interview, research from the Organisation for Economic Co-operation and Development found. HSBC (HSBC), Deloitte, Virgin Money, KPMG, the BBC, the National Health Service, local governments and civil service have all signed up for the "name blind hiring" initiative promoted by the U.K. government. "[The program] will help prevent unconscious bias and ensure that job offers are made on the basis of potential -- not ethnicity, gender or past personal circumstance," said David Sproul, CEO of Deloitte. Deloitte said it would go further and interview candidates for its graduate intake without knowing which school or university they attended. Prime Minister David Cameron said last month it was "disgraceful" that people with "white-sounding names" were twice as likely as others to be shortlisted for jobs. But the name bias is not just a British problem. OECD researchers found that a foreign name makes the job search harder for applicants across all 17 developed countries it surveyed.